NBA basketball is unlike any other professional sport in existence today. It’s an electrifying experience that includes unexpected emotional peaks, valleys, and bits of excitement along the way. The thrill of a tie game with two minutes left can invoke memories of playing pickup basketball in the park while a big block in transition or an even bigger dunk on the baseline can get you up out of your seat in a heartbeat. The culture itself is unlike anything the world has witnessed from the shoes, to the music, the style of dress and even the way players look on the court is strictly unique to the game of basketball. 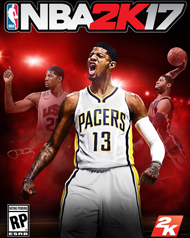 NBA 2K17 beautifully captures the enticing aura that engulfs the world’s most unique game and presents it all in a tightly polished package. 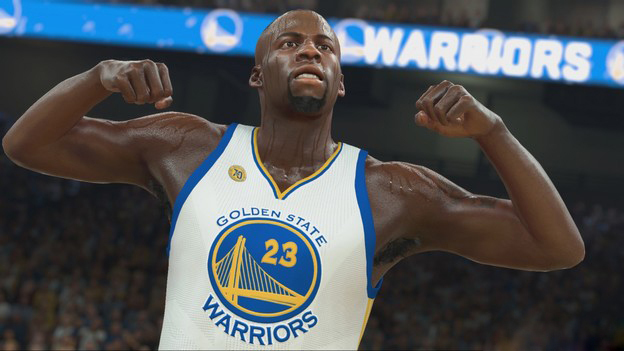 The most noticeable gameplay improvements from NBA 2K16 to 2K17 are centered on the title’s controls, player movements, and overall flow of the game. Bounce pass, skip pass, and chest pass are all available on the button pad now without having to perform any button combinations. The shooting motion has been slightly tweaked and simplified down to one main bar rather than pinning the meter in between two. The ability to switch from thumb stick to button is also a nice feature for shooting, which gives players the flexibility depending on how they’re feeling and what they’d prefer to use. The overall feel of the game has been greatly improved, with the biggest piece coming from both the way players react to situations and how they are controlled on the court. Players now move, pivot, sprint, and close out much more like they would in real life as opposed to being wrapped in a mile of cellophane. The AI has been improved quite a bit, as players no longer become hysterically predictable. Let’s see you try the pick and pop twenty times a game like you did last year - 2K17 won’t be having any of that. The movement piece may be small potatoes in the grand scheme of things, but it certainly makes a huge difference from last year’s frustratingly repetitive ice-skating motions and certainly makes the bolstered game modes much more exciting. NBA 2K17’s bread and butter is without a doubt the MyCareer game mode. The second year of this revolutionary story mode is bigger, better, and more interactive. Perhaps the best thing about MyCareer is the small nuances that make becoming an NBA superstar unlike any other popular sports figure. Pick your shoe endorsements with a wide range of performance based incentives, hang out with teammates and fellow NBA players, or work on your craft at your own personal gym, open 24/7. The game also features social media components and text messages from coaches, players, teammates, and folks within your inner circle to provide a unique layer of realism. More cutscenes and interactive elements have been added to the storyline, bringing the NBA experience to life. The MyCourt experience has been further fleshed out and provides much more depth in terms of customizing your baller’s pad and actually being able to utilize the court. One intriguing aspect includes random strangers showing up at your court to play some old-fashioned pickup ball. 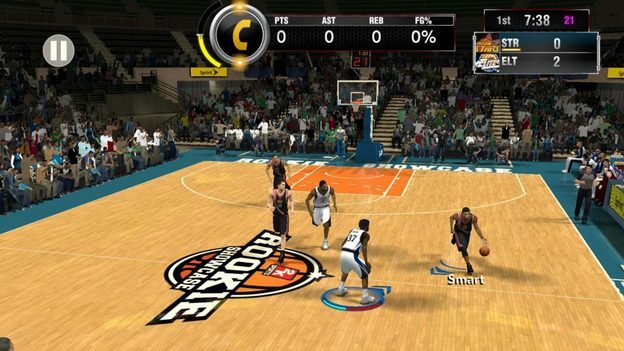 The other interesting piece includes your teammates sporadically popping in to play three on three or five on five, which is an entirely new concept for the NBA 2K series. Last year’s court felt severely underutilized unless your friend list was packed with 2K gamers. This year seems to be a different story and should make for some interesting surprises along the way. Just be ready if Carmelo or KD shows up out of nowhere to play one on one.